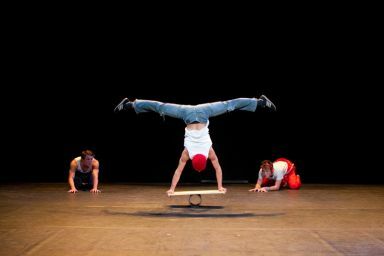 CIRCLE is a unique project specifically designed for promoting European and international student creation in circus arts. 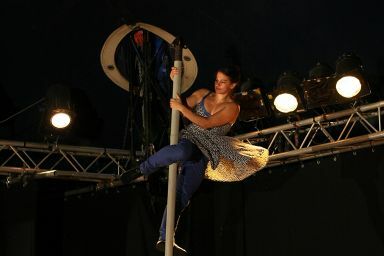 It encourages discussion and the exchange of views on educational and artistic approaches; aspects which are key to training young circus performers, and provides the opportunity for a wide audience to discover the creativity of students from circus schools all over the world. CIRCLE is the missing link between vocational training, the professional environment and the public. As FEDEC’s flagship project, it has devised the ideal context and spaces for student creation. 4 DAYS DEDICATED TO STUDENT CREATION – THE FUTURE IS NOW! 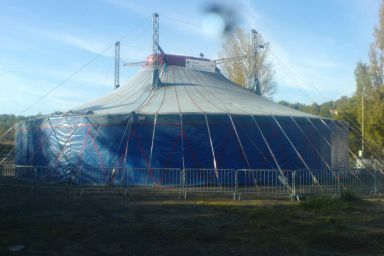 Every year since 2007, CIRCLE has been hosted by the CIRCa Festival in Auch and takes place over 4 consecutive days in a big top dedicated to FEDEC schools. 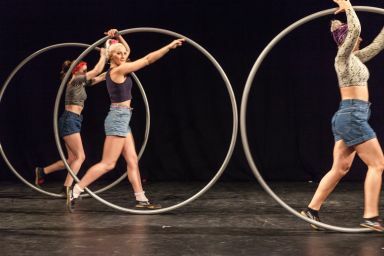 Here, between 60 and 80 students and their supervisors from 10 to 12 network schools come together to present short performances lasting 20 to 30 minutes in professional conditions, and take part in one of the largest European gatherings dedicated to contemporary circus. Each performance is followed by a discussion meeting between the students, the educational teams, sector professionals and the audience, providing them with the opportunity to share the creative process, their artistic approaches, their inspirations and ambitions. Since it was founded in 2007, CIRCLE has taken many different forms in order to evolve in a way which best suits the network’s needs. 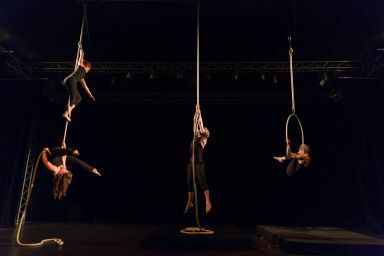 In 2011, it was also hosted by the Future Circus Festival (Turku, Finland) as part of the “Kaleidoscopia” project organised by the Turku University of Applied Sciences – Circus Department and in 2007 by the La Piste aux Espoirs Festival (Tournai, Belgium). CIRCLE is incorporated in the pedagogical programme of participating schools. It is meant to be both an experience of free creation, without any themes or aesthetic restrictions, and an experience away from school which supplements the vocational training programmes. By participating in CIRCLE, students are given the chance to experiment with new forms, new associations, to learn from each other and prepare for work in a restricted group within a timeframe, with an original form of exercise which complements those developed in current pedagogical programmes. This project is fully in line with the current innovative outlook of all professional schools which aims to train not just performers and writers but also creators and engaged citizens who are open to other cultures and other forms of art and audiences. For future graduates, CIRCLE is their very first contact with working life. Thanks to the skills they develop and the collaborations created under the CIRCLE project – not to mention the reception from the audience and the feedback from professionals and supervisors attending CIRCa – the young participants acquire new skills which are important for their future career. The CIRCLE project has a direct impact in terms of students’ acquisition of skills (interpersonal skills, networking and artistic, technical and linguistic skills). It is an important step which helps them move on from being a young graduate to a young professional. In 2014, we invited a fledgling company Alula Cyr, former CIRCLE participants and recent graduates of the National Centre for Circus Arts as well as the JTCE / Circus Next team to come and give students a few tips and tricks on how to present and defend their artistic and professional projects. CIRCLE allows us to keep in touch with students who very often return to the festival as part of its professional programme or to present their project outlines during matinées organised by HorsLesMurs. The encounters with the professional world provide all the students participating in CIRCLE and students from the other FEDEC schools attending CIRCa with an opportunity to address issues connected with structuring artistic career paths and the difficulties, doubts and needs at the start of a career in the arts. For further information on the CIRCLE project, please contact Amandine. We thank the CNAC for mobilizing CNAC.TV, the audiovisual production unit of CNAC’s Resource Center who filmed and edited each CIRCLE performance since the first edition. All the pictures and the videos of the performances are available in the Resources menu.